Legislators held a panel discussion last Friday to review the 2016 Utah legislative session, and the impact it had on women. 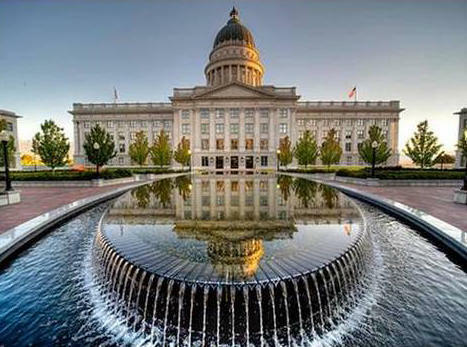 The Utah Women’s Coalition, a group who helps women gain economic, social and political status in Utah, took part in a panel to discuss how bills passed in the 2016 session affected them. That was Stephanie Pitcher, of the Utah Women’s Coalition. She says bills like H.B. 437, which deals with health care revisions, homelessness, and substance abuse issues, affected men more than women. Pitcher says women fared far worse than men when it came to mental health problems. The National Football League is admitting a connection between football and chronic traumatic encephalopathy, or CTE. And now the question of protecting young athletes from concussions is once again a main topic of discussion. Do Debtor's Prisons Exist in Modern-day America? The question of debtors imprisonment was a topic of discussion after a man died in jail. On January 23, a Box Elder County man was arrested for not paying an ambulance bill in December 2013. The fine was for $2,376. The man died that afternoon while in a holding cell. The cause of death is still under investigation.